Effortless cool is something Public Access T.V. have pretty much trademarked by now. Aside from playing Europe enough times to build a steady fan base and becoming nearly regular fixtures in British music reviews, the band – made up of John Eatherly (vocals, guitar), Xan Aird (guitar), Max Peebles (bass), and Pete Star (drums) – have also taken their time to develop, letting their sound mature for three years before producing their debut album, Never Enough (9/30/16 via Cinematic Music Group). And it’s a good thing they did. Never Enough – Public Access T.V. There’s something innate in Public Access T.V.’s sound that links them to that specific brand of New York cool perfected by The Velvet Underground, Blondie, and The Talking Heads. 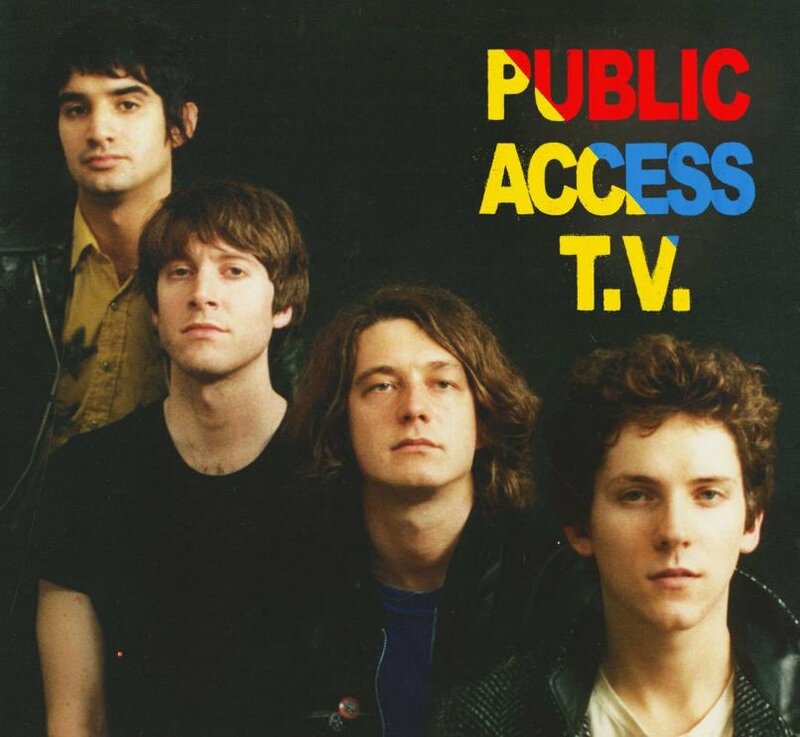 With their blend of new wave, punk, and just good ol’ rock n’ roll, Public Access T.V. has done the impossible in Never Enough – channeled the generations of cool New York musicians and produced something that’s simultaneously completely their own. In addition to launching an impressive debut, the Atwood favorites have (re)introduced the joys of revamped new wave to an entirely new generation of indie music lovers. Kickoff tune “In Our Blood” is sheer new wave, updated and revamped. Nonchalant and bordering on carefree with lyrics like “ain’t it fun, ain’t it fun to be a freak,” it’s the kind of song that could have its place in the scene in The Breakfast Club where everyone lets loose and dances in the library. 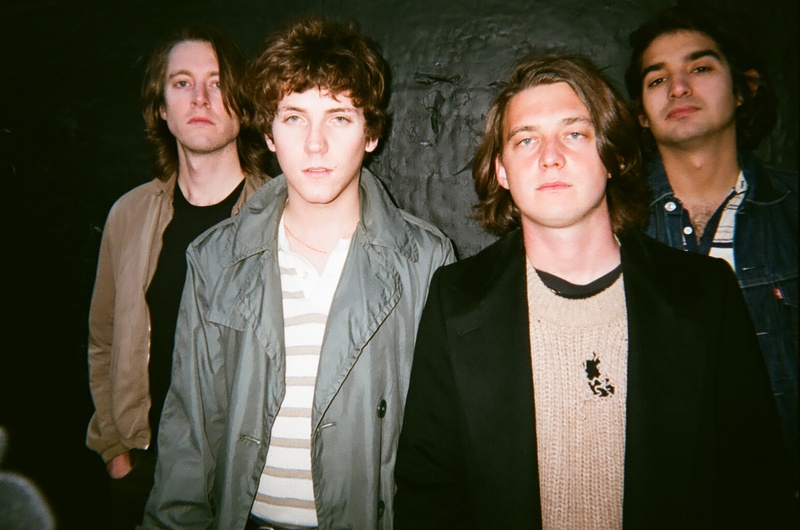 That comfortable ease transitions well in “Evil Disco.” Arguably the most pump-upped song on the album, “Evil Disco” seamlessly blends the best of 70s/80s new wave (think The Cars) and today’s more relaxed indie-rock attitude . Kicking off with a growl reminiscent of Def Leppard/Iggy Pop, Aird’s riffs and Eatherly’s animated vocals combine to weave an age-old narrative–we’re going out, we’re together, they don’t really get us–that gives the song its timeless feel. The “evil” in evil disco exists only in name. For the two characters involved, the song is a safe haven – a reprise from the crowded city, the “people in the night world.” It’s an inviting kind of freedom, rooted in the adolescent spirit of being mutually misunderstood – together – and one that’s worth dancing to. Bits of piano punctuate “Summertime,” giving the song a slightly more blues-influenced tinge. And the subject matter fits in well with the sound, finding Eatherly ditching a love that’s “all truth, no dare” – not fast-paced enough for a hot-town summer in the city. Watch: “End of an Era” – Public Access T.V. “End of an Era” finds Public Access T.V. lamenting the fact that “the kids don’t like rock n’ roll anymore.” But hey, kids are lame and forget them anyways, y’know? Public Access T.V. doesn’t treat the subject like rock is flying to pieces – because, in their eyes, it sure isn’t. As Eatherly sings in the chorus, maybe it is the end of an era (the era of strict ideas of genre, perhaps) – but as long as we keep dancing, listening, and just plain rockin’, we’ll end up okay. “Patti Peru” deals with the idea of “feelin’ alright” and how it’s impossible to always be so. It’s upbeat, but the message is there – being always alright isn’t really, well, alright. The mock-dark music video matches the song’s tone perfectly and shows the band’s capacity to poke fun at themselves. Watch: “Patti Peru” – Public Access T.V. “Careful” is bass-heavy, and Star’s drumming provides a backing similar to “Oh Darlin’” or other harder takes on early rock’s typical backing, with a bit of piano included. Once again, Eatherly gives us a narrative–this time of a relationship about to fall apart. “Sudden Emotion” (previously featured on Atwood Magazine) marks the start of something new. Despite the urgency of the title, the tune is laid-back, Easterly’s chilled-out vocals bordering on relaxed but still retaining a sense of resolve. This is a feeling the relationship from “In Love and Alone” and “Remember” couldn’t sustain–the immediate rush of attraction, contained in sound. Watch: “Sudden Emotion” – Public Access T.V. “Sell You on a Lie” begins rapidly with Eatherly’s vocals taking center stage. And in the few seconds before the instrumentals come in, it’s easy to see why the band is billed as New York’s Hottest–traces of Lou Reed infiltrate Eatherly’s voice especially so here. On the whole, though, Eatherly’s voice remains his own, with just enough hints back to the past to grab listeners’ attention. Between Eatherly’s frank vocals and slight saxophone in the second verse, “Sell You on a Lie” gives listeners a taste of the band’s range and keeps them wondering what’s next. Never Enough might be mostly neo-wave post-punk, but in that snippet on the second verse of “Sell You on a Lie,” the band has given listeners enough subtle hints throughout the album that they’re capable of doing even more. Never Enough proves Public Access T.V. can do New York cool better than anyone else on the scene, and has revamped new wave for a new generation. In addition, the album carefully and subtly exposes Public Access T.V.’s potential, and leads listeners to wonder just what they’re planning next. By doing such, Never Enough has proven itself to be a stunning debut album that has set Public Access T.V. well for potentially conquering the indie world.